Kris Lees has given the strongest hint yet that Le Romain will be a TAB Epsom Handicap absentee, remaining optimistic he will snare the final spot in the $13 million The Everest. Lees this afternoon indicated he was leaning toward missing the $1m Epsom (1600m) at Royal Randwick on Saturday week with the triple Group 1 winner, who is currently on the fourth line of betting at $11. Le Romain tried his hardest when runner-up to Winx in the $500,000 Group 1 wfa Colgate Optic White Stakes over the Epsom course there last Saturday. The six-year-old, a horse for all conditions, has raced Winx only twice and finished second to her on both occasions; the first being in the Group 1 George Ryder Stakes (1500m) at Rosehill Gardens in the autumn of last year. “Le Romain took a day to get over Saturday’s race because he tried so hard, but he is nice and bright today,” Lees said. “I’m leaning toward not running him in the Epsom. He is a proven weight-for-age performer, and It would be a tough assignment going back to a ‘mile’ handicap with 58kg. 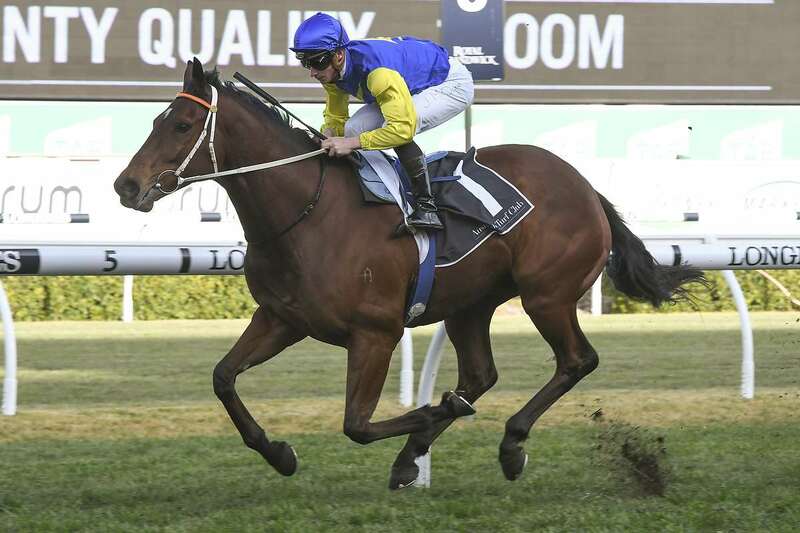 “We’re still hoping he can get a start in The Everest. He is a fantastic Randwick horse and deserves a slot. I know he would be very competitive. Le Romain’s credentials are hard to fault. Not only has he won three Group 1s (two of them at Randwick), but has also been placed in six other Group 1 races (five of them seconds) in his career. Le Romain added $94,000 to his prizemoney tally with his weekend second to Winx, lifting his career earnings to nearly $2.9m (seven wins and 14 placings – 12 of them seconds – from 29 starts). Stablemate Prized Icon is also likely to miss the Epsom following his fifth to New Tipperary in last Friday’s Group 3 Cameron Handicap (1500m) at Newcastle: “I’m considering sending him to straight to Melbourne without another run here,” Lees said. Miss Fabulass has pulled up well from her dynamic victory in last Saturday’s Group 2 Tea Rose Stakes (1400m) at Randwick – the same race her famous Mum Samantha Miss also won in 2008 during a clean sweep of the four-leg Princess Series for three-year-old fillies. She is on track to also emulate Samantha Miss by winning Saturday week’s $500,000 Group 1 Flight Stakes (1600m) at Randwick. Lees is contemplating quickly chasing another black type success with last Friday’s Group 3 Tibbie Stakes (1400m) winner Princess Posh. He has entered her for Saturday’s $400,000 Group 2 Golden Pendant (1400m) at Rosehill Gardens, and will back her up if she continues to do well. Lees won the 2013 edition with Sharnee Rose who, like Princess Posh, raced under the Australian Bloodstock banner. Golden Rose favourite Graff will be joined by stablemate Gem Song in a 1000m course proper gallop in the morning: “Graff is in great order; I couldn’t be more pleased with him,” Lees said. Jason Collett again partners the Star Witness colt in Saturday’s $1m Group 1 Golden Rose Stakes (1400m), but Lees favours keeping Gem Song for the 3YO Benchmark 72 Handicap (1300m).